Everyone knows that fruits and vegetables are important in order to stay healthy. We are taught as children that we should eat as many fruits and vegetables as possible. Most people assume this is simply because the calorie counts in these foods are low or that they are packed with vitamins and minerals. While these are both true points, many people do not know the benefits of Vitamin C for your skin. Sailors learned long ago that Vitamin C is essential for avoiding scurvy. Everyone has been told at some point that eating enough Vitamin C will prevent colds and other ailments, though recent research is beginning to show that it may not have as much of an impact as previously thought. Vitamin C does, however, play a vital role in the health of your skin. This is why OROGOLD developed their Vitamin C Collection. 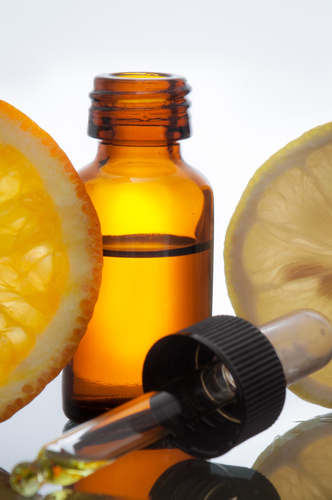 OROGOLD Cosmetics knows that Vitamin C and healthy skin are deeply intertwined. Vitamin C is essential to the production of collagen. Collagen is a protein that helps the growth of cells and blood vessels. It also gives skin its firmness. More collagen means firmer, younger looking skin without fine lines and wrinkles. At some point in your life you have probably become injured. Most of us as kids have fallen off bikes or out of trees and have ended up with some interesting scars. Vitamin C is essential in the formation of scar tissue. It helps the skin repair itself from all kinds of damage, including that caused by the environment. As an antioxidant, Vitamin C slows the rate at which free-radicals cause damage to the skin. Free-radicals are unstable molecules in the atmosphere that cause skin dryness and damage collagen. They also cause fine lines and wrinkles, making your skin appear older than it actually is. Vitamin C can not only help to neutralize free-radicals, but can also work to reverse damage done to DNA itself by these unstable molecules. In addition to all of its other benefits, Vitamin C can also help to reduce sunburn. This is good news for everyone who loves lounging in the warm sun during the beautiful summer months. The OROGOLD 24K Multi-Vitamin Day Moisturizer helps you to get the extra Vitamin C that can help prevent the long-term consequences of sun exposure. Of course, you should always wear sunscreen, but ample Vitamin C will help to keep your skin supple and beautiful. Make sure to maintain the youth of your beautiful skin with ample amounts of Vitamin C. There are so many benefits of this essential vitamin. Not only does it keep your skin healthy, but it also helps you to maintain your overall health. the repair and maintenance of the tissue of the skin.